The MJF Foundation on Friday 23rd October formally handed over equipment designed to significantly enhance the capability of the HelpAge Sri Lanka free eye clinic in Colombo. The Clinic which usually performs 12 cataract operations daily on elderly patients who cannot afford to pay for their operations, suffered from a lack of essential equipment which constrained their effectiveness amongst elderly, underprivileged Sri Lankans. The MJF Foundation addressed these shortcomings in providing the equipment which was the result of a Foundation study earlier in 2005. The Foundations undertook a study of the requirements of the HelpAge eye clinic which revealed that power fluctuations and power cuts severely hampered operations at the facility. Merrill J. Fernando, Settlor of the Foundation donated a silenced generator intended to minimize the possibility of critical problems arising from power problems. This will allow the Clinic to increase the number of operations and ensure that power outages which are frequent in Sri Lanka, do not cause hardship to the patients. The Foundation study also identified the need for a Scanner for complete examination of the eye and a keratometer, an instrument that measures the frontal curvature, or steepness of the cornea. At the time, patients were required to go elsewhere for the retinal scan to be done and this caused considerable inconvenience and cost. The upgraded Eye Clinic is now able to complete the surgery and discharge patients within a day. 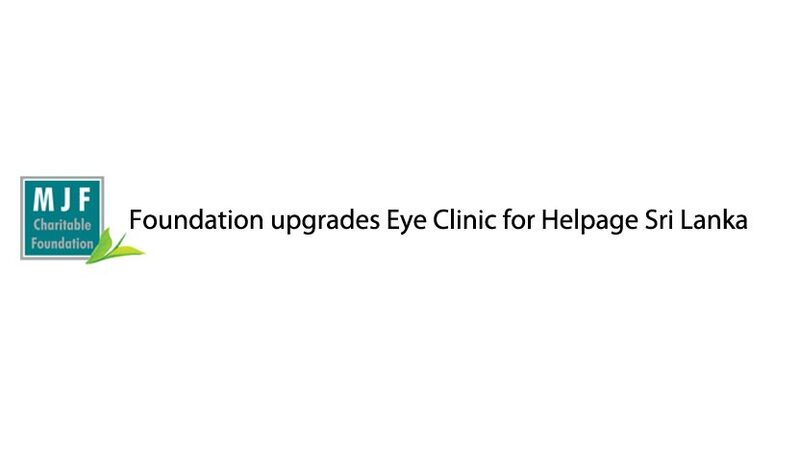 The Foundation will work with HelpAge to treat cataract patients on Dilmah Tea Estates. The first beneficiary of this programme, retired tea plucker, M. Muthuamma aged 67, from Wellandura Estate, was recovering from her treatment when Merrill J. Fernando, visited the Centre.